This level is again hard but still you can complete easily because you already played lot of levels and have good skills. This level have 12 meringue blocks plus few rows that can eat ingredients. You should try to first break all meringue blocks and then play in just right three rows or else play on other if have chance to make special candies like colorbomb. Try to combine colorbomb with each other and don’t waste moves. 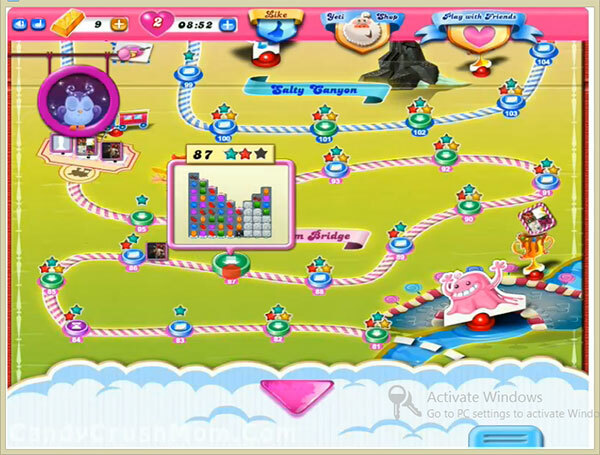 We completed this level with 171560 score and got two colorbomb that help to reach requirement within 51 moves and rest converted to striped candy plus got three star score. On Candy Crush Level 87, I’m really confused. When I get one of the acorns or cherries out through the bottom of the board, it goes back to the top and it has to be worked through again. Other times, it goes where it’s supposed to. Is it more important to get the higher score or get rid of the “candies”? I refuse to let this level get me.